2. 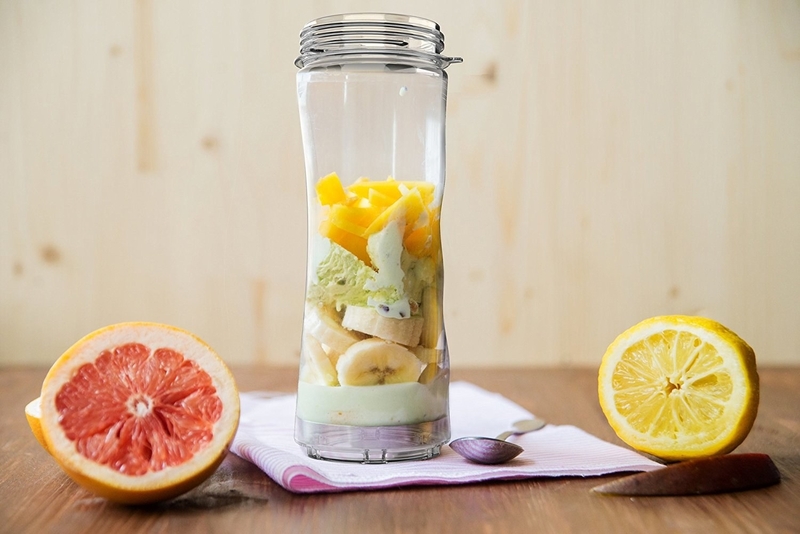 A mini single-serve blender for days you're running late to work but are still determined to have a nutritious, well-rounded breakfast. 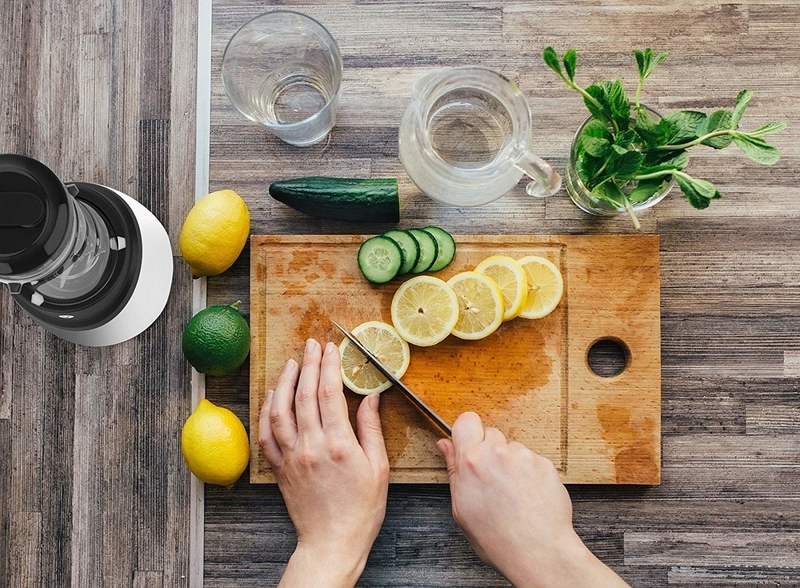 And check out our picks for the best blenders on BuzzFeed Reviews. 3. A French press coffee maker that'll make a great gift for the person in your life who would never be caught dead with a K-cup in their hand. 4. 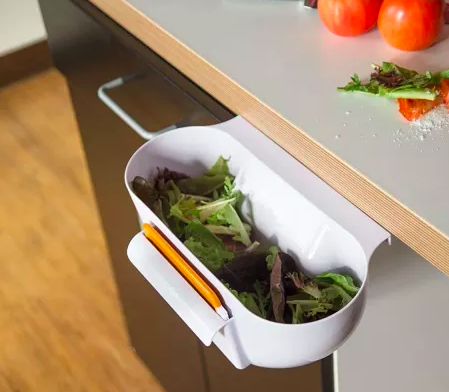 An indoor food compost bin you won't mind leaving out on the counter. 5. A potato masher that'll make you want to eat mashed potatoes with every meal (mad respect if you do). Or: You can mash your own avocados so you don't have to pay $20 for an avocado toast at a restaurant. 6. A set of nonstick oven liners because you probably know the struggle of cleaning up crusted-over residue from the inside of your oven all too well. 7. A curvy stainless steel flatware set sure to make you feel like you're eating off a pricey Scandinavian tasting menu. 8. 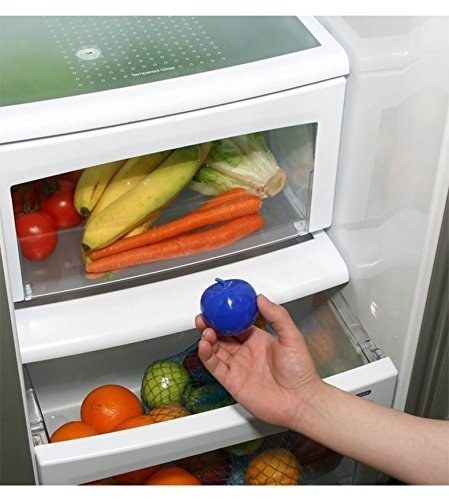 A "blue apple" case that'll save you big bucks on your difficult-to-maintain produce by extending its shelf life by two to three times. 9. A set of unfussy drawer trays to organize all of your utensils. 10. 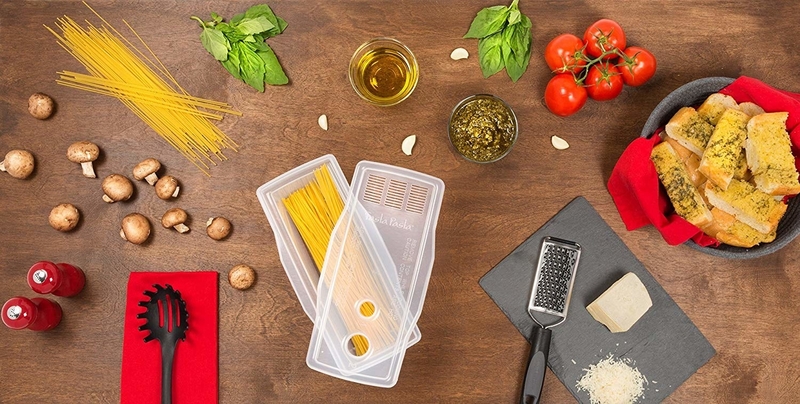 An eight-piece glass bowl set with lids that are the perfect size for meal prepping. 11. And a sworn-by Magic Eraser, if the mere thought of cleanup always holds you back from meal-prepping. 12. An easy-to-use pot that'll allow you to cook rice and steam vegetables at the same time. Also: It can be used to make oatmeal, chili, and soup! 13. 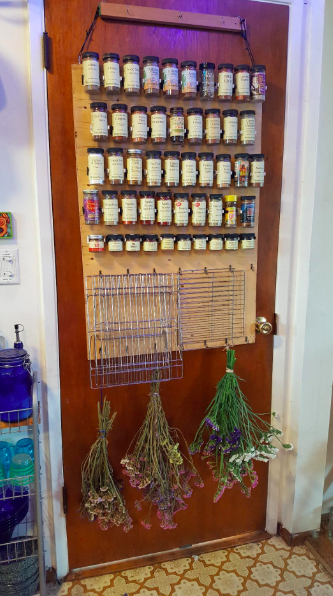 A set of spice-gripper clips to save tons of room in your cabinets. 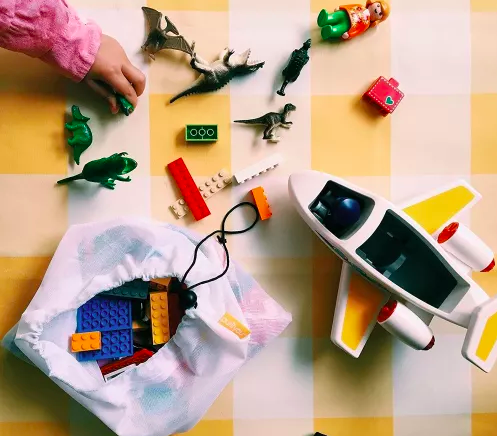 Promising review: "OMG, I love these things! Such a simple idea; how did I ever live without them? They added a lot more room in my spice cupboard, and they’re great for my OCD(ish) tendencies. They hold all different circumferences of spice bottles. If some spices are too big to place all in the same connected row, you can cut off a tab and separate them. 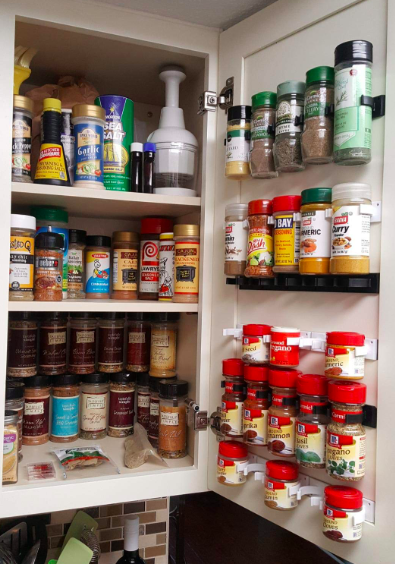 It doesn’t really affect the items on the shelves; you just have to push them back a little (maybe half an inch or so), so the spices have clearance when the door is shut." —Bridget D.
14. A microfiber dish-drying mat with a marble design you'll love with every micro-fiber of your being. 15. 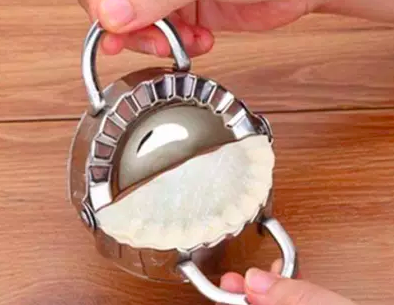 A very helpful crab that, in a pinch, will open just about anything for you. 16. 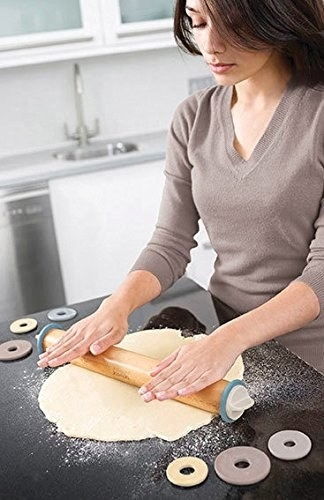 An adjustable rolling pin so you always end up with the right dough thickness. 17. 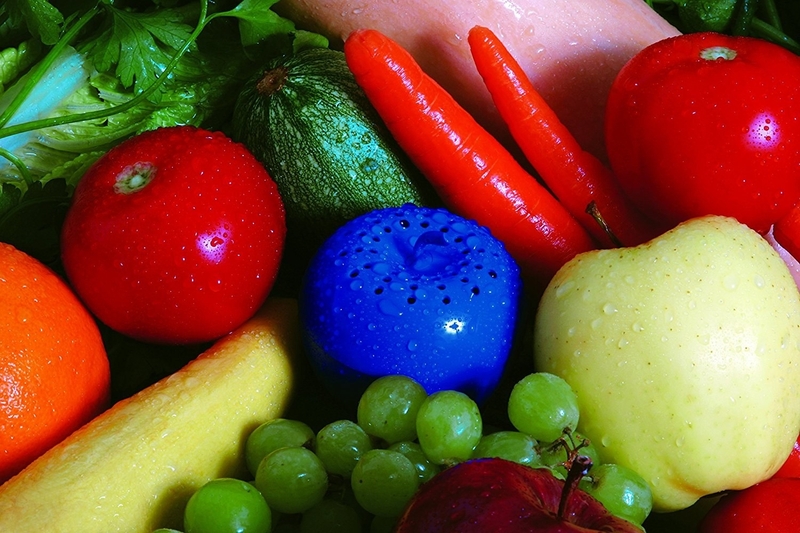 A rotary peeler with the choice of three different blade types, perfect for any fruit or vegetable. Promising review: "I actually hesitated in writing a review as these work so well I want to keep them a secret! I believe the shape and ease in holding this makes peeling so much easier! They come apart so they are a breeze to clean, and the blades are very sharp. I have now purchased several to have and to gift. Great item and design!" —Daisyloohoo. 18. 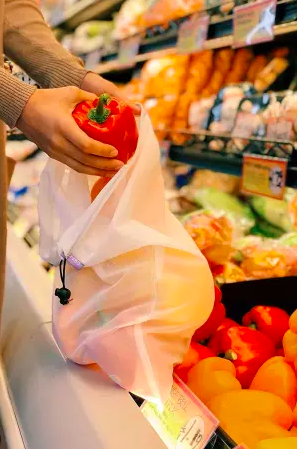 A set of multipurpose mesh bags that'll keep your fruits and veggies fresh for longer (but also hold toys, and protect clothes in the laundry, if you want to use 'em for that!). 19. A Le Creuset egg cup for your very own idyllic Call My By Your Name moment this season. 20. 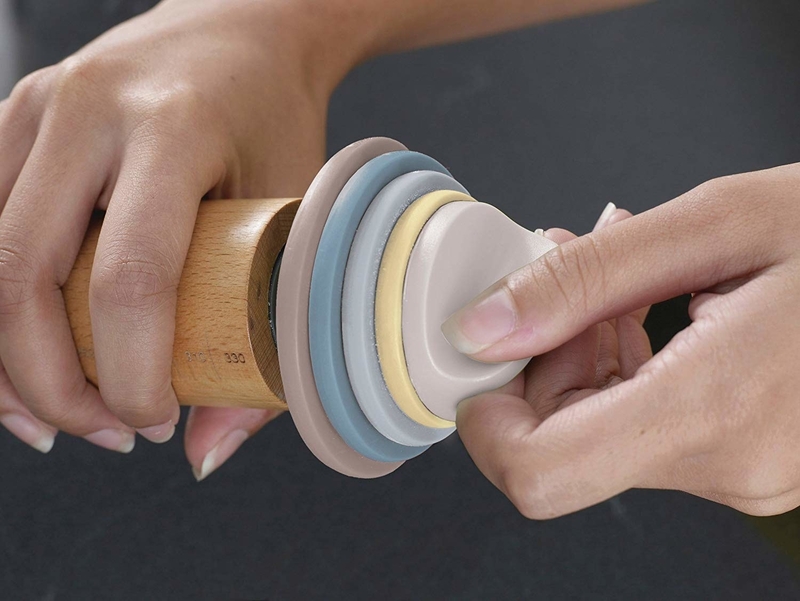 An avocado slicer that removes pits with one quick twist, so you don't have to worry about avocado hand. 21. A pair of cut-resistant gloves, so the process can be as accident-free as possible. 22. A terracotta bear that's just very happy (or is that fear on his face? — hard to read, tbh) to be tossed in your jar of brown sugar and keep it fresh for up to six months. 23. A foldable cutting board so you can dump your sliced veggies right into your pot when you've finished. 24. A cherry stoner to remove the pits from your cherries and not leave your kitchen looking like a crime scene in the process. 25. A pair of multipurpose kitchen scissors with five different blades for all of your herb-chopping needs. 26. 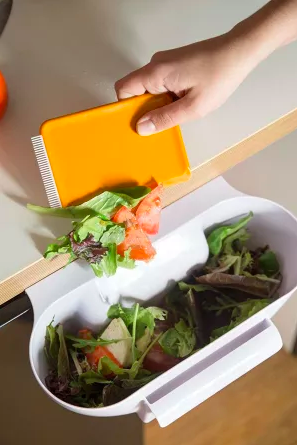 An attachable "scrap trap" with a scraper (think: dustpan and broom for your countertops) that'll make the transfer of scraps to garbage as seamless as ever. 27. A two-in-one whisk for making sauce and gravy preparation...well, gravy. Promising review: "We have SUCH limited drawer space, that this is a lifesaver. There's a small segment at the bottom you twist, and then...whisk! 28. A dishwasher-safe cauliflower chopper to make homemade cauliflower rice easier than ever. It also works on broccoli! 29. A 5-quart nonstick sauté pan with a lid, so you can finally make that ambitious dish you were worried would burn to a crisp in your other cookware. And check out our picks for the best nonstick pans on BuzzFeed Reviews. 30. A very convenient corn stripper (it's also, miraculously, mess-free). 31. An expandable shelf that you can put in your cabinets or on your kitchen counter to make use of vertical space. 32. A set of classy stainless steel measuring cups so you don't have to play the guessing game again. 33. A pack of oven-rack shields for anyone who is constantly burning themselves on their rack, whether they're taking protective measures or not. 34. 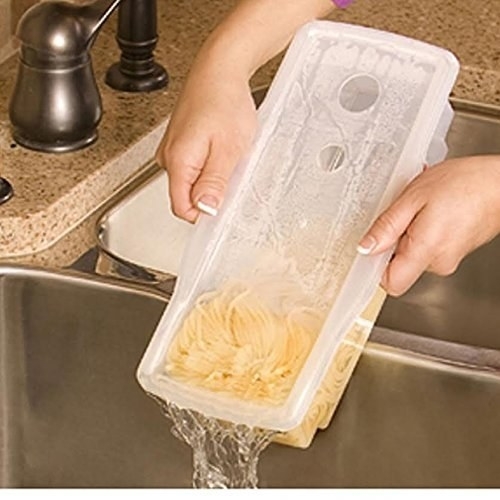 A clip-on strainer that won't drain you of your will to make delicious pasta (just your pasta water). 35. A tip-out tray for your cleaning supplies, if you have those false drawers under your sink that aren't pulling much weight. 36. An easy handheld spiralizer so you can say hello to zoodles every day of the week. 37. 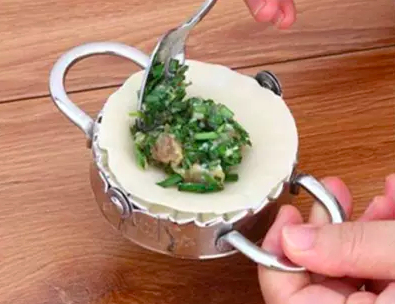 A pastry mould to make dumplings, pierogis, ravioli, pot stickers — the list goes on — with, truly, very little skill required. 39. A pair of acacia wood salad utensils to serve some sophistication, as well as salad. 40. 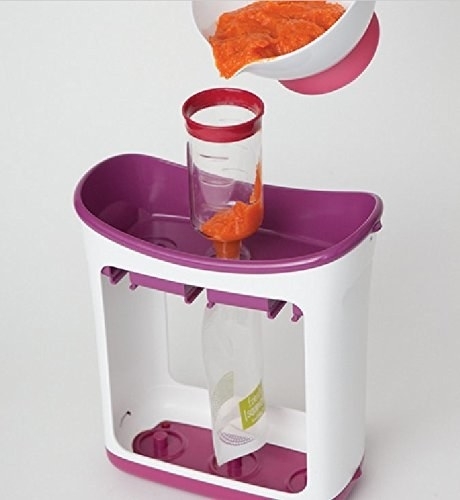 And a squeeze station that sorts baby food and liquids into ready-to-go pouches — perfect for the overworked parent.